Looking to introduce autumn colors into your living room? Changing to fall-themed curtains could be the best way to do just that. In this post, we’ll give you some tips and suggestions on how to add gorgeous autumn-style drapes that can entirely change the atmosphere in any room. We even have 15 stunning examples that you can view and get on Amazon, so get your pumpkin-flavored coffee and let’s get going. To help you get the perfect setup for your living room, consider the following tips. Don’t wait until October to start your fall decor operations. The longer you plan ahead, the more time you’ll have to decide on color combinations, type of drapes and overall look. Planning ahead also gives you plenty of time for ordering everything that you need online. Even if something isn’t what you had hoped for, you’ll have time to send it back and get something different. The great thing about designing for the autumn season is that you have your palette cut out for you by Mother Nature. The traditional colors are those of red, gold, brown and a touch of green. As you can see, there’s a variety of colors to choose from. Reds will be dominant, and you can also add gold, orange and brown. Green is optional. While it is apparent in the evergreen trees, going with a red-and-green color scheme could come out too “Christmassy”. When choosing curtains, you always need to consider the pattern as well. Autumnal motifs such as leaves, acorns, and even pumpkins would work well in the pattern. The size of the motifs matters too. Large prints will draw the eye and turn your curtain into a focal point. Which may or may not be what you’re after. For a more balanced and harmonious look, small prints usually work better. 4. Blocking the view or framing it? What kind of view do you have from the living room windows? 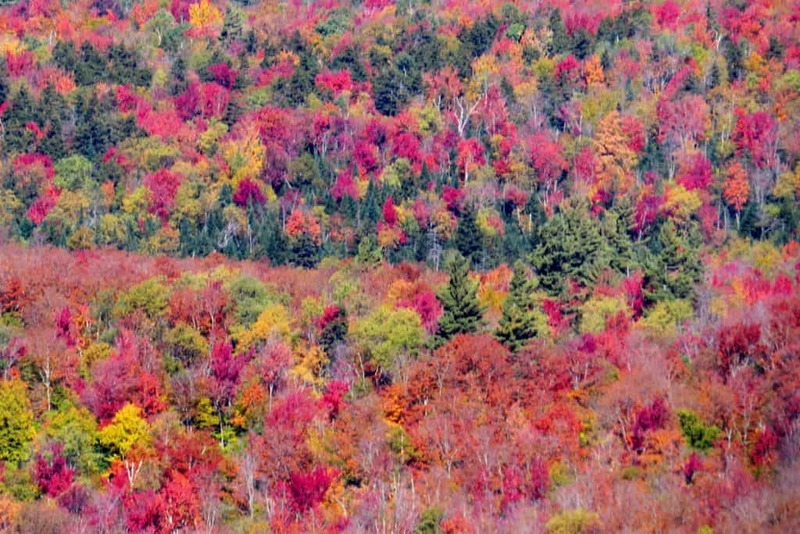 Don’t block beautiful fall scenery with drapes. If your windows look out to a pretty lake surrounded by trees, focus on framing that with pretty valances and drapes that look great when pulled. If your windows look out to an urban setting, you may want to go with light see-through curtains that allow light in while being drawn. Fall colors don’t mean you should ignore your overall living theme. This is both a technical consideration as well as a design issue. Your decorative autumn drapes will temporarily replace your regular curtains. Will the same rod support them well? Even if the answer is yes, maybe you’re like to adjust the rods too, to fit the autumn theme? Whether you order the curtains ahead of time or taking them off when switching to Christmas decor – you need to make sure you store your drapes properly. Depending on the number of windows you have in your living room, the curtains could end up having a decent enough volume. Make sure you have airtight storage boxes where you can safely store the drapes to be used again in the following year. Now that we’ve covered the tips, let’s take a look at several fantastic options. The Ambesonne Curtains for your Living Room give you the perfect combination of aesthetics with utility. The curtains pack the goodness of drapes within their design and accentuate the purpose of your living room. You can now create a wonderful picture of exuberance and design within your living room and turn the heads of all those who visit you. The design of falling leaves and the static tree creates a traditional feel of comfort and desire. The curtains are crafted in consideration of what buyers want in their living room, as they give a sizable amount of shade, without cutting down on the beauty of the room. 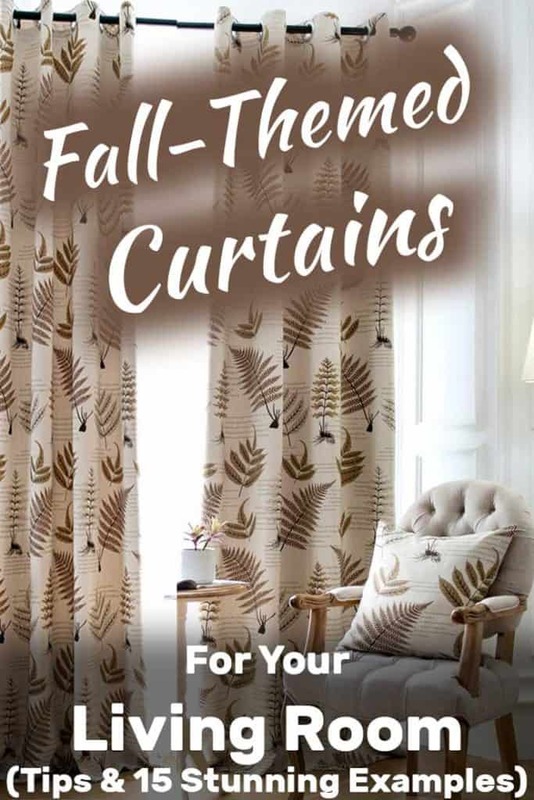 Get these curtains today to accentuate your living area, and to spell the magic of brown autumn leaves in your living room. Click here to buy these fall themed living room curtains. Enhance the Halloween spirit and create a wonderful representation of nature’s most beautiful gift in your living room through the addition of these orange pumpkin drapes. The curtains carry a brilliant aura of perfection to them and help you create the required perception within the mind of the people coming to your home. The elegant look exuded by these curtains falls in line with the modern dwelling you aspire to have. You can remove all panels for cleaning and ensure that the curtains are good for future use. The curtains have a good finite life, and won’t develop any wrinkles after the wash. Thick, heavy and aesthetic; these curtains carry the perfect aura for your living room. Made out of brilliant triple-weave fabric, the curtains work brilliantly to remove all aspects of sunshine within the room, giving you the comfort and peace that you desire in your humble abode. Incorporate the design within your living room to bring your family close to nature’s most aesthetic leaves, and to create a wonderful image in the most frequented space within your home. Also, astound visitors with these curtains, and give them a chance to look in awe towards the design on display. What is it that makes autumns truly awesome? The falling leaves, the mysticism in the air, the dark signs of the approaching winters and the mist in the air. These curtains carry all the signs of autumn and present them inside your living room in the best manner possible. These curtains have a vibrant outdoorsy feel that matches directly with your living room atmosphere. If you want something vibrant, but not too overwhelming and something outdoorsy but not too adventurous, then these curtains are meant for you. One of the most primary functions of all curtains is to block the sights and sounds from outside and ensure that you’re having a good time in your living room. Now, many homeowners want this blackout impact, but without compromising on the beauty part of the curtains. If you, too, want to ensure that your curtains have beauty and comfort then these curtains are just for you. They carry a wonderful and aesthetic picture of autumn brilliance and show nature and mankind their true form. Incorporate these curtains within your living room to get the perfect mix of nature and convenience. What is it about pumpkins that make them so astounding and beautiful to look at? Is it the vibrant color of glowing orange? Is it the association with Halloween? Or is it how brilliantly they can incorporate within your living room? Regardless of the reason behind it, what we do know is that we just happen to love pumpkins. So, make your love for pumpkins public and create the perfect image within your living room by using them. The pumpkins won’t just add a good tinge of vibrant colors to the area, but they will also give you the protection you require. There is no better picture than that of the woodland during the autumn season. Leaves from Birch trees falling on the ground, creating a wonderful crunchy feeling is something that we die to experience. While not everyone is inclined towards undertaking this adventure in their life, you can always incorporate this curtain within your living room to get the feel of it. The curtains carry a gorgeous custom design that has been patterned according to your preferences. Falling leaves in the autumn season always infuse a sense of brilliant imagery in the onlookers. These curtain drapes that focus on those leaves accentuate the imagery and bring it to your very living room. 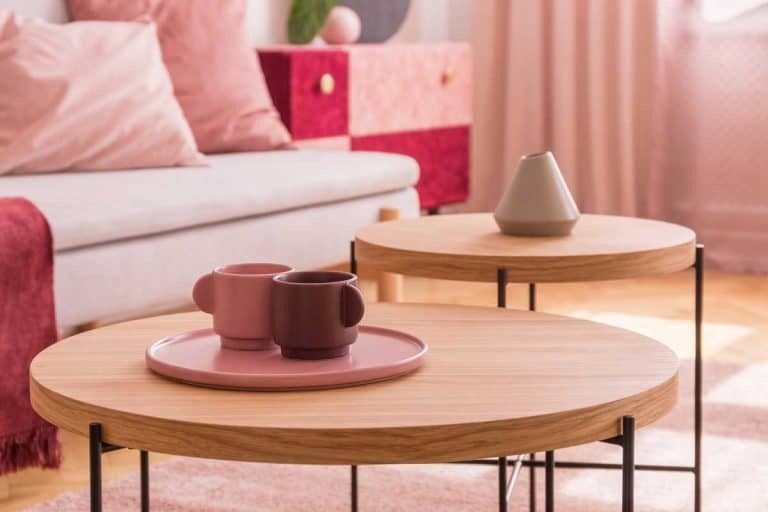 Center your living room discussions on the brilliant aesthetics of falling autumn leaves and add a touch of nature’s brilliant form to your home. The curtains have a dark green shade to them, which works well with your overall living room setting. The shade of green leaves would help create the dark, comfortable environment you need indoors. Pumpkin designs for living room curtains have really become mainstream in the last year or two. The popularity of these designs lies in how well they are able to give the right shadow to the environment with the perfect pictorial representation of a pumpkin. Besides the usability, these living room curtains also come with an elegant design to them. The dark picture of a pumpkin sitting makes for good viewing. This stylish deer painting design is one of a kind as it incorporates all the brutality and uniqueness of nature in your living room. The deer look at each other, as they support a backdrop of mystic leaves falling around the place. Autumns are definitely a time when nature is at its best. You can re-live the experiences of autumn every day in your living room with this amazing curtain. Falling tree leaves during the autumn season make for wonderful viewing. You can just sit all day long and breathe in the beautiful air of leaves falling on the ground. Since most of us are disconnected from this experience in our city homes, we cannot experience autumn in its truest form. However, with these curtains, you get to witness the true form of autumn as the leaves resemble those during the autumn season. The tinge of yellow in the leaves makes them as realistic as possible. These pumpkin curtains sport a triple weave innovative fabric, which is constructed in a way that filters sunlight. The amazing insulation property within these curtains helps you regulate the flow of sunlight within your living room. 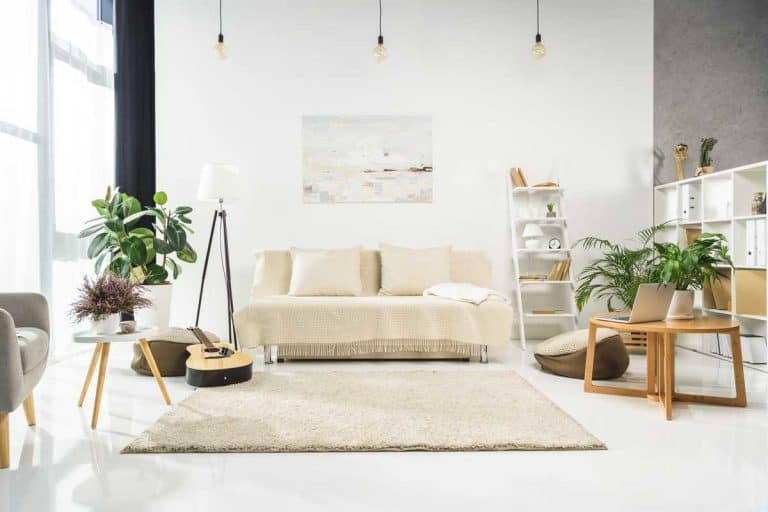 Stop the sunlight from infiltrating your room and spoiling the atmosphere, while simultaneously maintaining a good, picturesque environment within the space. Excite your visitors with the perfect amalgam of vibrant pumpkins and the dark background. The gushing water and the autumn leaves pictured in these curtains make a wonderful image within your living room. The brilliant aesthetics of the curtain make it a perfect addition to any living area. The two-panel installation makes it easy for you to install. Additionally, you can wash the curtains without fearing the emergence of wrinkles on them. The unique, vibrant and life-like design on these curtains makes them an interesting addition to your living room. The perfect picture of the snowy peak at the backdrop, and creates a good contrast with the image of red autumn leaves. All in all, the curtains pack all the facets of nature in one picture and bring it to prominence through a wonderful design. These living room curtains show the perfect imagery of harvest time, with the addition of the colors you would associate with pumpkins. The tinge of yellow in the backdrop stops light from infiltrating inside and gives you the comfortable environment you need. Many home decor aficionados enjoy changing the theme of their living room by season. It’s never too soon to start planning and ordering those perfect drapes. We hope you found this post helpful and hope you’ll share it around!